Choosing the right flooring for your rental property can be anxiety-inducing. You need a flooring option that is going to look enticing and be preferable to the largest number of people, but you also need flooring that will stand up to a lot of use. Renters aren’t going to treat your property as nicely as you would, so you need flooring that will stand up to their negligence and abuse. Tile is a high-quality flooring choice. You can get it in all kinds of materials, such as porcelain, ceramic, concrete, and slate. When potential renters look at your property and see tile, they will be impressed and know that you have put great attention into the quality of the property. They will be more likely to want to rent your property and to pay the price you have set. By investing in professional tile cleaning, you can ensure that the quality of your tile floors is maintained. Professional tile cleaning can lift out years of stains and brighten the color of the floors. If you had a previous renter who was careless with the floors and let some nasty spills stay and stain the floors, a Mesa tile cleaning company can salvage the floors and make them look attractive once again. Tile is durable, but it is not invincible. If you don’t properly care for the tile, the dirt and debris that seeps into the cracks of the tile surface and the grout will eventually erode the material. It can weaken so that it cracks more easily, and the surface can become uneven and pocked. Poor maintenance will shorten the life of the tile significantly. Investing in regular professional tile and grout cleaning in Mesa will ensure the durability of your floors. You’ll get many more years out of your tile flooring, and you’ll make your renters happier. Maintaining your tile floors is much cheaper than replacing them. By brightening your tile floors, professional tile cleaning saves you the cost of replacing tile that seems to be permanently stained or dulled. By ensuring the durability of your tile floors, professional tile cleaning puts more years of life in your floors, saving you the cost of replacing the floors or repairing them. Renters can be very choosy, so it is important that you have beautiful floors ready to present to them. Tile cleaning also earns you money in this regard by helping you to land more renters. Ugly, stained floors are sure to turn renters away. Similarly, renters who are already in your property may decide not to pay the rent because the property isn’t up to their standards, or they may just cause you a headache with their repeated complaints. Either way, ensuring that your floors are cleaned and properly maintained will save you the headache and ensure smooth relations (and payment) with your renters. Choosing tile for the flooring in your Arizona rental property is a wise investment, and getting regular cleanings and maintenance from a tile cleaning company is also a wise investment. Keep these benefits in mind when you are considering your choices for flooring and floor maintenance. 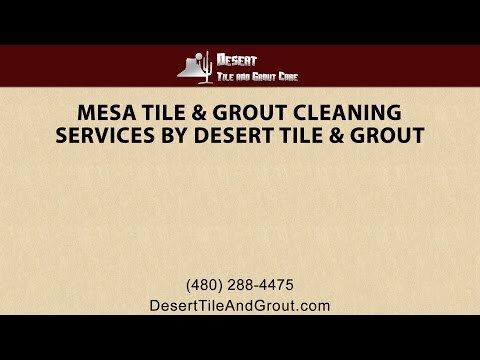 Desert Tile and Grout Care offers professional tile and grout cleaning in Arizona. We service residential and commercial properties, including those you occupy yourself or those you are renting. We can restore floors to their former beauty, including freshening up the grout lines, or we can provide routine maintenance to help prevent stains and other damage to the floors. We also clean and seal brick and stone in other parts of your home. Call us in Arizona today to learn more about our services or to make an appointment.